Walnut oil is a great source of antioxidants as well as B-vitamins. Both of these protect our skin from oxidative stress i.e. damages caused due to free radicals, which is essential for maintaining a fresh and glowing skin. The vitamin B content of walnut oil can help us keep premature aging at bay. It is also enriched with vitamin E which, being a highly effective antioxidant, can accelerate the functions of B-vitamins and give us a firmer, youthful skin. As walnut oil can fight and delay aging, we can easily stay away from issues like wrinkles, fine lines, etc. Moreover, it is rich in essential minerals, which can reduce all sorts of marks and scars from our skin remarkably. Walnut oil is full of omega-3 fatty acids which, along with the vitamins (B and E) and antioxidants, play a key role in treating dry, rough and scaly skin. It hydrates the cells from inside and keep the skin well-moisturized for long. Topical application of warm walnut oil is extremely helpful in diminishing under eye dark circles. It can soothe the delicate skin around eyes and make it healthier, thereby lightening its natural color and restoring the lost glow. The omega-3 fatty acids present in the oil make it a successful cure for eczema. Just mix some garlic juice with it and apply the mixture on the troubled areas of the skin regularly. It will help you get rid of the issue in as less as 10 days. Walnut oil is anti-fungal by nature. When applied on the skin affected by fungal infections such as candida, athlete’s foot, etc., it can work like the OTC anti-fungal medications and heal the infections quickly. If you are suffering from psoriasis, walnut oil can be the best solution for you. You can either apply it directly to the troubled spot or add it to your bathing water to sooth the inflammation and alleviate the condition. The nutrients present in the walnut oil provide adequate nourishment and moisture to our scalp. Regular application of this oil can also boost the circulation of oxygen-rich blood throughout it. As a result, the scalp becomes healthier. 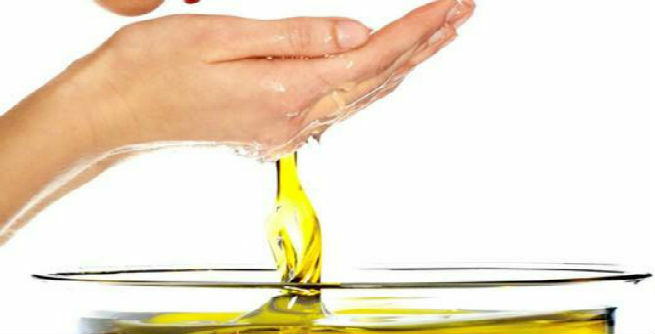 The oil is known to possess natural anti-dandruff properties. It can keep the scalp clean as well as free from infections, which eventually gives us strong and beautiful hair. Those who are suffering from excessive hair fall should give walnut oil a try. It promotes the growth of hair and keep issues like hair loss and balding at bay. The omega-3 fatty acid and vitamin B7 (biotin) content of the walnut oil make it a superfood for our hair. They strengthen each and every hair strand from inside and hence, you can use it every day to make your dream of getting long, strong and lustrous tresses come true. Last but not the least; walnut oil can prevent your hair from graying by accentuating its natural color. The assorted protein of the oil is known to be responsible for this. It also adds beautiful shine and amazing smoothness to your locks.